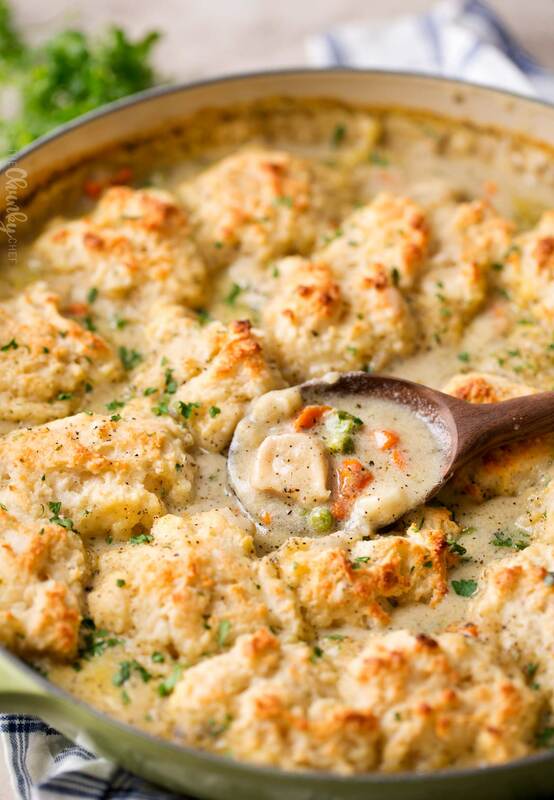 Creamy chicken and vegetables, all cooked in the same pan, topped with fluffy homemade drop biscuits, then baked until browned and bubbly! Time for some down home comfort food! 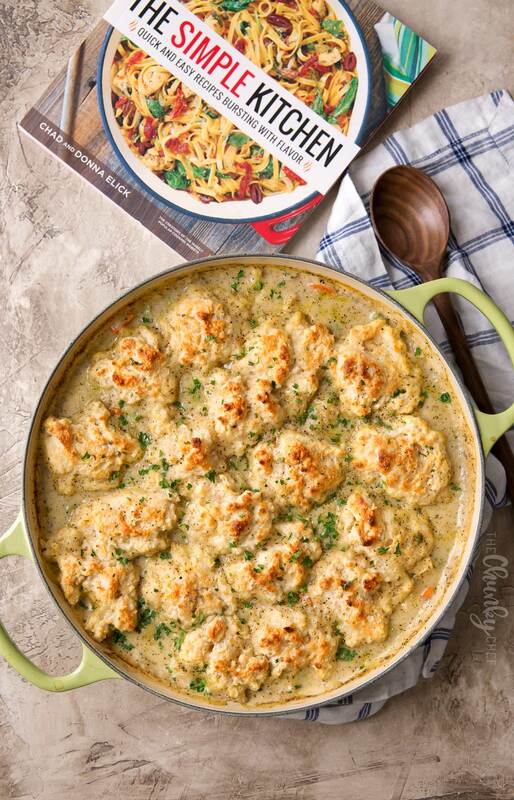 This homestyle chicken and biscuits recipe will warm your soul and is hearty enough for even the hungriest crowd! Y’all. We have had like 2 weeks straight of sickness here in the Chunky Chef household. Everyone has had some sort of virus, and we’ve all passed them around, no matter how many times I clean, sanitize and lysol the house. To say we’re in need of some comfort food is a HUGE understatement!! Plus, it’s just that time of year right? The weather is cooling down, it gets dark sooner… it’s totally time for comfort! This chicken and biscuits recipe is straight from my friends Donna and Chad’s new cookbook, The Simple Kitchen. They blog over at The Slow Roasted Italian. This is their first cookbook, and after reading this one, I’m SURE it’ll be a huge hit. I mean, page after page of fantastic recipes! 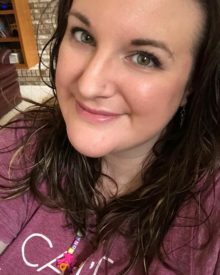 I had a really hard time narrowing down which recipe to share with you all. I settled on this one, being a Midwestern gal myself, because not only is it a true down-home kind of meal, but one I hadn’t actually made for myself before. 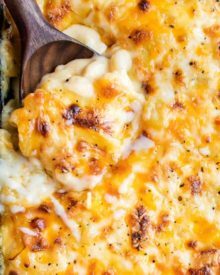 Aside from this amazing recipe, there are SO many other great ones, like Triple Cheesy Mac and Cheese, Stacked Cantina Nachos, Honey Ginger Glazed Carrots, Legendary Pecan Pie Bars, and MORE! Every kind of recipe is covered in this book… from Appetizers to Desserts, and my favorite section, the Everyday Kitchen Essentials. You can buy their book HERE! I promise, you won’t regret it! Have you ever had classic chicken and biscuits before? 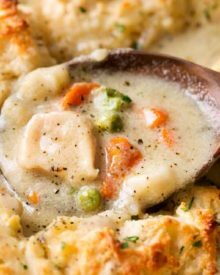 It’s traditionally a Midwestern and Southern dish, but I’m sure it’s a favorite among other areas of the country as well 🙂 It’s sort of like chicken and dumplings, but with golden brown biscuits! Which, in my opinion, is way better! But then again, I’m totally biscuit obsessed… especially these! Donna and Chad’s cookbook boasts “quick and easy recipes bursting with flavor”, and man, they aren’t kidding! I’ve tried some other chicken and biscuits before, and they can be a tad bland, but not this one. It’s perfectly seasoned with plenty of mouthwatering flavors! 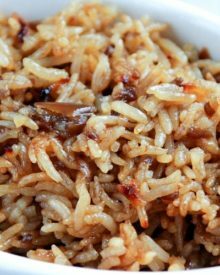 This recipe is also a 30 minute meal, which is perfect for this time of the year as well. We’re all crazy busy basically from now until January, so a home cooked meal in 30 minutes? Sign me up! Plus, with the exception of the biscuits being mixed in a bowl, this dish cooks in one pan! So less dishes to clean up, and less time in the kitchen… which means more time to spend with your family! Win, win, win! 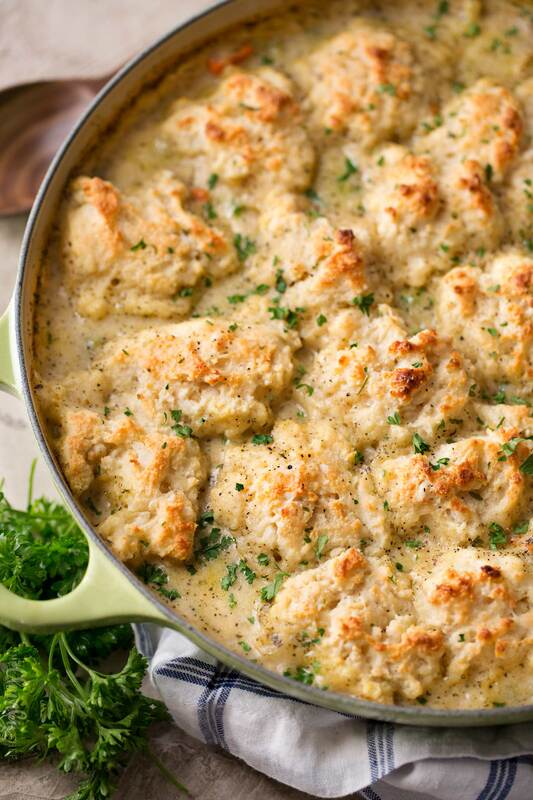 The next time you’re craving some classic comfort food, give this homestyle chicken and biscuits a try! And don’t forget to pick up your copy of The Simple Kitchen! 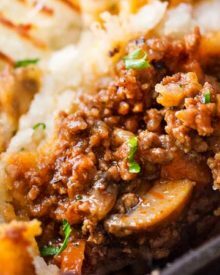 Casserole Pan with Lid – Hands down, one of my favorite pans… easy cleanup, great size, pretty, and I love the clear lid! Box Grater – make shredding that Parmesan super easy! WANT TO TRY THESE CHICKEN AND BISCUITS? 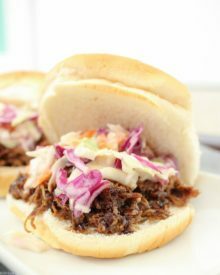 PIN THEM TO YOUR DINNER OR COMFORT FOOD BOARD TO SAVE FOR LATER! Preheat oven to 450 F degrees. Melt butter in 4 qt braising pan or 12" oven safe skillet over MED-HIGH heat. Add carrots and shallot. Cook until the shallot is softened, 2-3 minutes, stirring occasionally. Sprinkle the flour, rosemary, oregano, basil, thyme, marjoram, sage, salt and pepper over the vegetables and stir to coat completely. Cook for 1 minute to cook out the floury taste. Add the chicken stock, chicken pieces, milk and peas to the pan. Bring to a boil, then reduce heat to simmer. Cover the pan and cook 5 minutes. 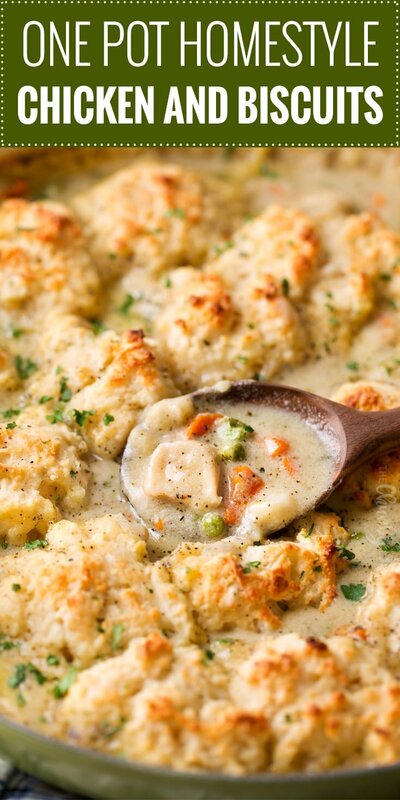 Uncover the pot and drop heaping spoonfuls of biscuits on top of the chicken stew. Transfer to the oven and bake 10-12 minutes, until golden brown. Melt remaining 2 Tbsp butter in a small bowl. Add the remaining 1/4 tsp kosher salt and dried parsley. Stir with a pastry brush. Remove pan from oven and brush the biscuits with the melted butter mixture. Biscuits didn’t bake. I guess it’s supposed to go in the oven uncovered? Recipe doesn’t specify. If the recipe doesn’t say covered, the rule is you bake it uncovered. The chicken gets done in just 15 minutes in the oven? 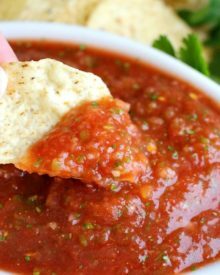 I want to make this recipe for a family that I nanny for. I usually cook them what they are having for dinner earlier in the day. Would this be good reheated? If so how would you suggest doing so? I’m worried that it will be sitting in liquid all day. This was so AMAZING! Flavor was delicious, chicken was so tender! We are a family of 7 so the absolute only thing I’m gonna do next time is make more biscuits! The biscuits were so fluffy and perfect! I also didn’t have enough parmesan cheese so I used a cheddar blend that I already had in the fridge! Thank you for sharing this recipe! Is the chicken called for in the ingredients list cooked or uncooked? Going back over the recipe, I realize it never really says? Just wondering. I made this last weekend with leftover roasted chicken, and it came out really really good!! Tons of flavor and really perfect for fall. It calls for uncooked chicken, but it can be made with either 🙂 So happy you loved it last weekend! I made these vegan! I replaced chicken with tofu, and milk and butter with vegan milk and butter. I also added blue potatoes and cauliflower. I haven’t had this since I stopped eating meat over a decade ago and I am so excited about this! It’s cooking in the oven right now and I cant stop checking on it because I just want to eat it so bad! Great recipe! oh my goodness! I am in LOVE!!! 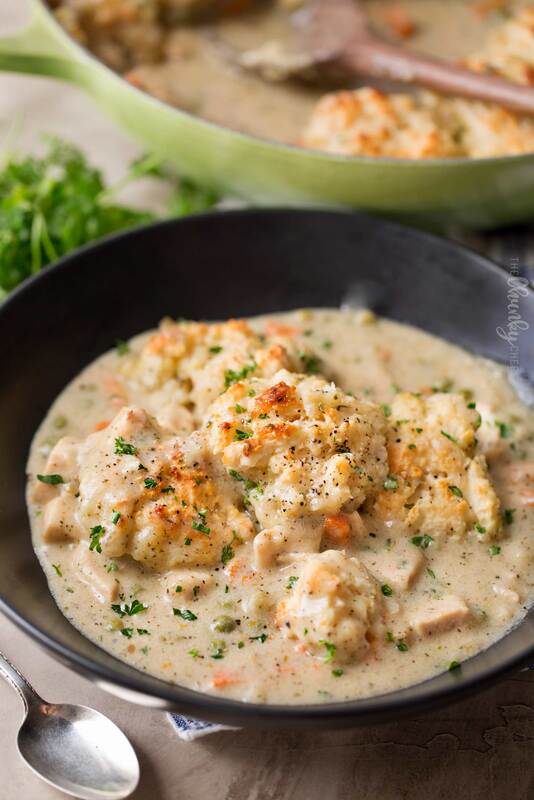 This is the easiest chicken and biscuit meal to make, and it is by far the BEST I’ve ever eaten!! I WILL be making this again… and again… and again! Should the chicken mixture be watery or on the thicker side? Mine is watery so I think I will have to add more flour. Hi Carol 🙂 After it simmers it should be the consistency of a semi thick soup. Maybe it needs a little longer to simmer? Absolutely delicious! The only thing I changed was adding celery and made it in my Dutch oven. So, so good! Thank you for the recipe! Made this for dinner last night and it was amazing. Thank you for sharing! My biscuits were very gummy on the bottom side. Are they supposed to be fluffy all the way through? If so, how do you accomplish that without burning them on top? 450 is a very hot oven!! Hi Roberta 🙂 Since the biscuits are cooked in liquid, the bottom side will always be softer and have a different consistency than the tops. This looks absolutely perfect for fall! And side note, i have that pan and I adore it it’s perfect for one pan meals! What a delicious one dish dinner! Love meals like this – this looks SO tasty! 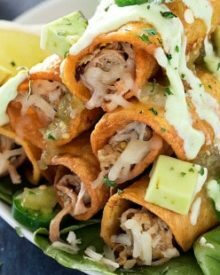 This is one of my husband’s favorite dishes! 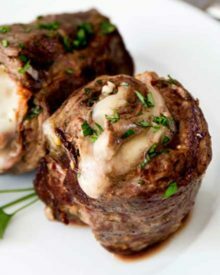 He’s traveling this week so I’m going to surprise him with it this weekend, thanks for the recipe! One pot dishes are the best! This one looks so good! I must make it asap!